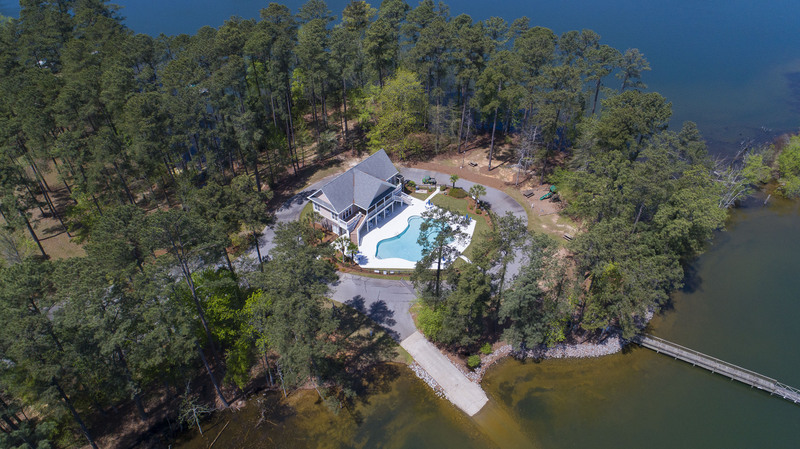 149 Harbour Watch Blvd is on Lake Murray, SC in the gated community of Harbour Watch and is just 16 miles west of Lexington, SC. Harbour Watch is centrally located in the state of South Carolina, and is less than 30 miles from Columbia, the state’s capital city, and home to the University of South Carolina Gamecocks; 40 miles to the historic city of Aiken, SC; and 25 miles to Newberry, SC, home of the Newberry Opera House. There are numerous nearby attractions for residents and visitors. It’s only 15 minutes from Publix, Lowe’s Foods or Bi-Lo. Students attend Batesburg-Leesville Elementary, Middle, and High Schools in Lexington School District Three. This all-brick home is constructed for low maintenance. It has gutters, vinyl fascia and soffits, stamped concrete front porch with black iron railing, vinyl shutters, a tiled screened porch on the back with composite decking on the covered porch and grill deck, concrete walkway, and large driveway for ample guest parking in addition to the attached, oversized two-car garage in which there’s a work bench and overhead storage. The space on the back of the house for garbage bins is enclosed with vinyl fencing. 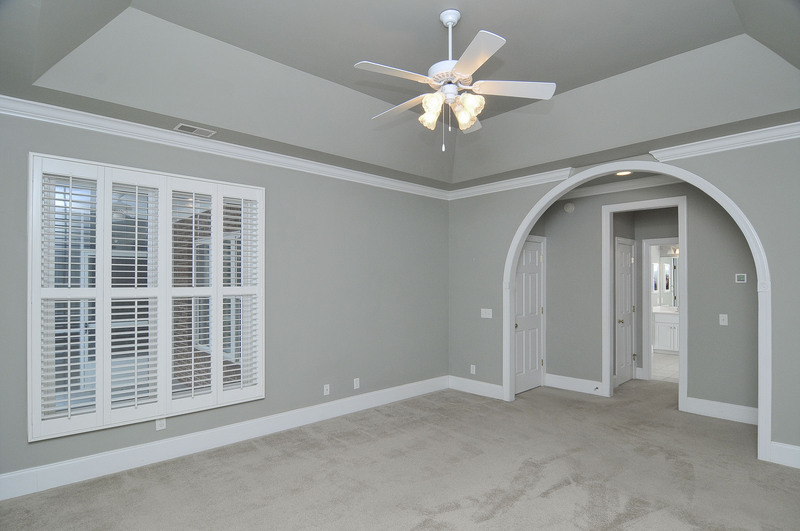 Enter the home to a foyer with two closets: one with wood shelving and one that is a coat closet. The formal dining room boasts raised panel wainscoting with chair rail, wall sconces, tray ceiling, and a ceiling medallion from which the chandelier hangs. The living room has vaulted ceiling, chair railing, gas log fireplace with granite hearth and surround and built-in book cases to the right. The kitchen is open to the living room and boasts granite counters, glass tile backsplash, recessed lights, solid wood white cabinets, under and over cabinet lighting, and black appliances, including a free standing gas range. The eat-in kitchen overlooks the covered porch and grill deck and onto the back yard. French doors to the right of the foyer and to the right of the living room lead to three bedrooms and a full bath and by design, create a feeling of having a private suite. To the left of the kitchen and living area is the owners’ suite where there’s a quasi-foyer and a large archway that opens to the sleeping area which is on the private, back side of the house. The bedroom has tray ceiling. There’s a linen closet and his and hers walk-in closets. The owners’ bathroom has tile floor, whirlpool tub, two sinks in a large vanity, built-in shelves, built-in medicine cabinet, separate shower and water closet. 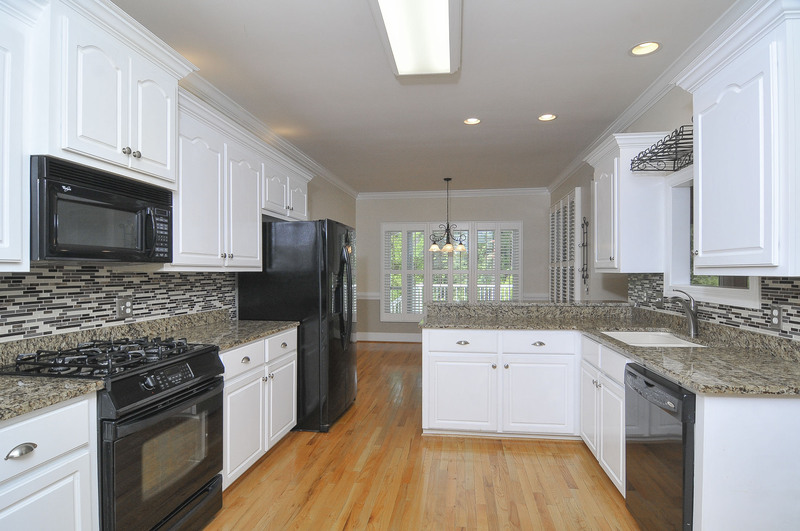 Also on the main level is a spacious laundry room with tile floor and built-in cabinets. The finished room over the garage, aka FROG, is bedroom #5 and has a bath with vanity, toilet and shower. The home is equipped with a central vacuum system. It has a sprinkler system, but all zones may not operate at this time. 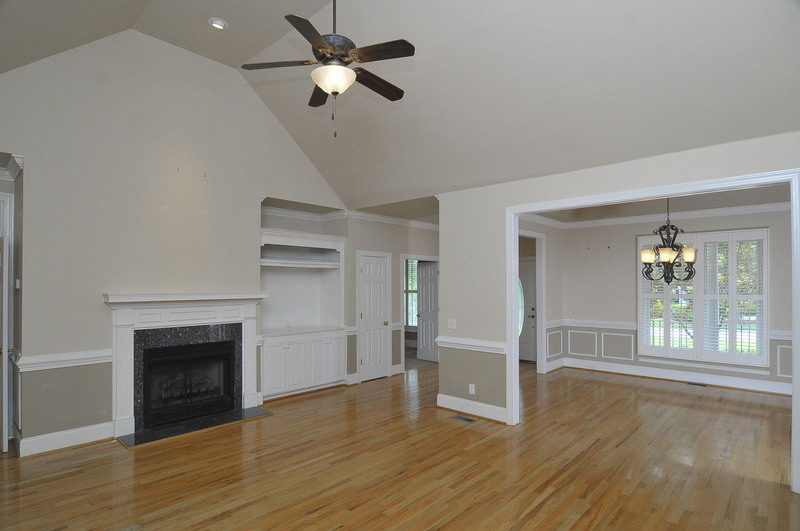 The main part of the house has hardwood floors and all of the bedrooms have carpet and ceiling fans. 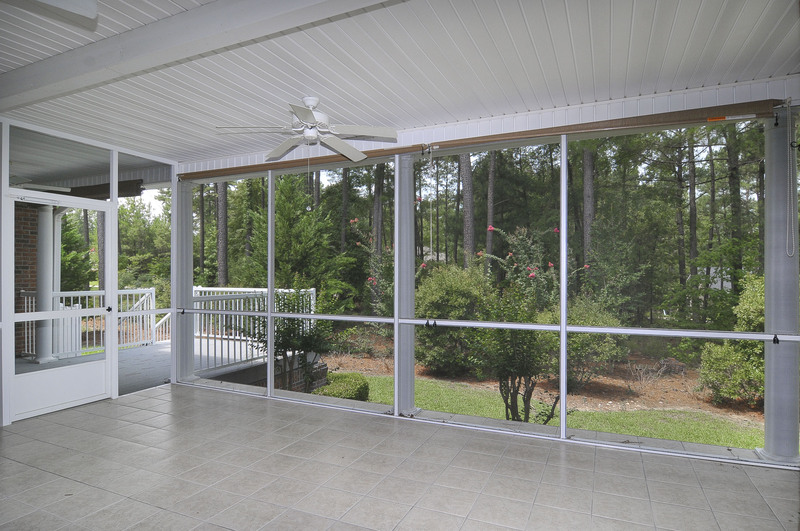 An added bonus to the large screened porch is the fact that there are two exterior ceiling fans, and blinds for complete privacy and/or shade if desired. The 500 gallon propane tank is buried in the back yard and a line is run to the grill deck so there’s no hassling with propane tanks. Life at Harbour Watch provides endless possibilities for homeowners. It’s a very social community. At any given time, one may be involved in street parties, pot luck dinners, parades, book, sewing, garden and card (canasta, hand and foot, bridge, poker, etc) clubs, wine tastings, yoga, pilates, and/or aerobics, and much more. Amenities include: gated entrance with security, impressive lion fountain, elegant clubhouse with caterer’s kitchen, fitness center about to be completely overhauled, clay tennis courts, lakeside swimming pool, chipping and putting green, golf cart paths and parking, grounds keepers, paved roads with curb and gutter, public water and sewer, underground utilities, and private or shared docks for waterfront owners and deeded boat slips for off-water owners. 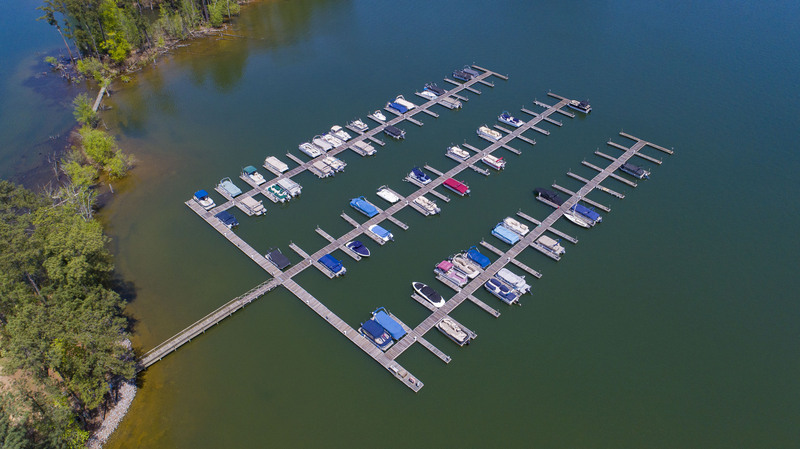 149 Harbour Watch Blvd comes with boat slip A-4 at the community marina. Additionally, the homeowners have recently acquired a large portion of the community that was originally planned as the final phase of development. This purchase by the homeowners ensures that the residents maintain control of the association and that the property obtained is maintained as additional green space with walking trails. That resulted in a $289 special assessment for 2018. The Harbour Watch Property Owners’ Association (POA) projects that this land acquisition will necessitate special assessments between $230 - $260/year fo the next 15 years, a modest increase for the tremendous gain for the community. Furthermore, the association is now fully managed by volunteer homeowners who have a vested interest in Harbour Watch. 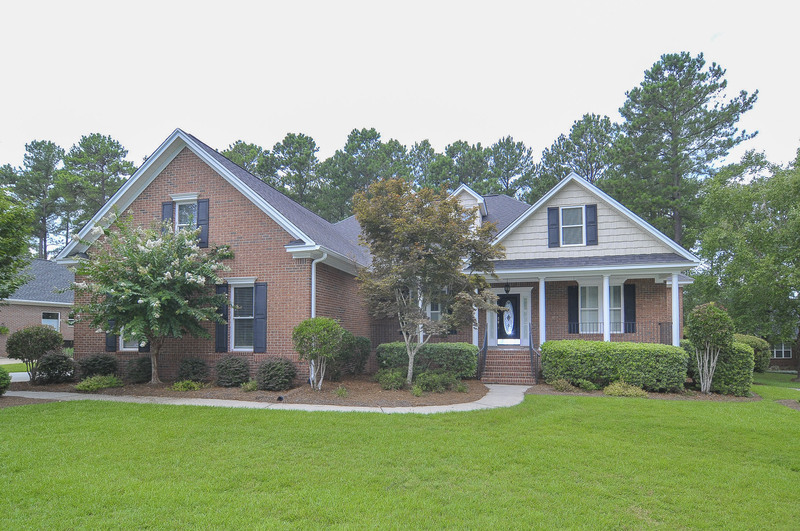 Lake Murray, SC Real Estate - The Sallie Chester Team of Exit Real Estate Consultants​ With an emphasis on real estate sales on Lake Murray and off-water properties in Lexington, SC and surrounding areas, Sallie Chester and her team of professional REALTORS® utilize EXIT’s cutting edge technology along with old-fashioned customer care to provide each client with exceptional service. 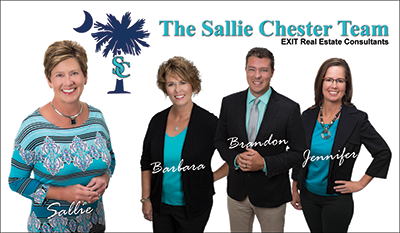 Sallie lives on Lake Murray and with many years as a leader in the real estate industry, her clients value her knowledge, professionalism, and business experience.